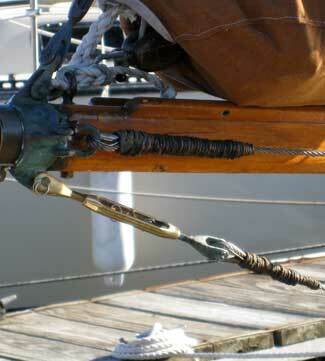 Experts recommend that standing rigging (stays and shrouds) be replaced at least every 10-12 years. 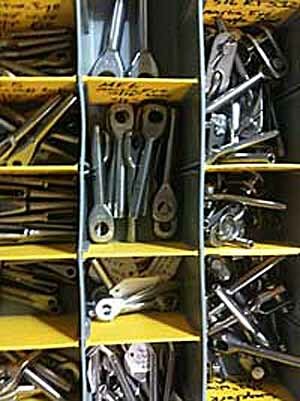 We are a full-service rigging shop, capable of fabricating all of your stainless rigging. We do machine swaging on site (in our shop or at your boat) and we offer shipping to our customers who live out of town. We stock stainless steel cable for fabricating shrouds, stays, halyards, topping lifts, trapeze wires, lifelines, architectural rigging, and more. Diameters range from 1/16" to 1/2". 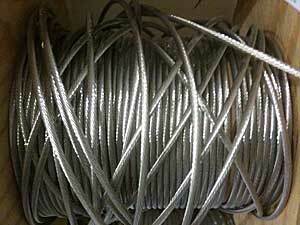 We stock bare and vinyl-coated 1x19, 7x7, and 7x19 wire. 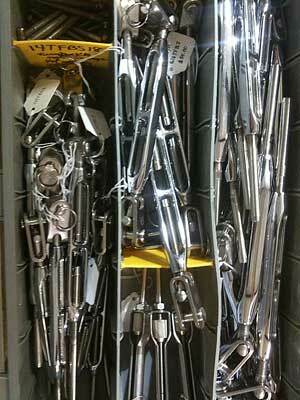 We also stock most stainless fittings including marine eyes, rigging studs, aircraft eyes, toggles, aircraft forks, t-balls, turnbuckles, stemballs, gate eyes, pelican hooks, and more. We carry most major brands of rope including New England Ropes, English Braid, Samson, FSE Robline. Whether you are a racer, cruiser, dinghy sailor, or keelboat sailor, we have the running rigging you need for your sailboat. 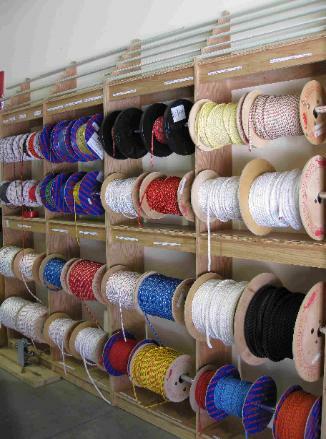 We keep thousands of feet of rope in our inventory, ranging from 2 millimeters to 5/8-inch rope. We have high performance single braid, double braid, and three-strand line. We have ropes for every application: sheets, halyards, outhauls, topping lifts, cunninghams, reefing lines, furling lines, and dock lines. 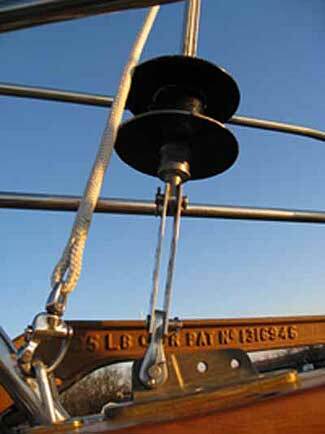 We also splice rope on premises and would be happy to custom design your docklines, mooring lines, or anchor line.